Can You Spot the Differences in These Metal Gear Images? Calling all Metal Gear Fans! Or people who like looking at things and spotting things that don't look alike. 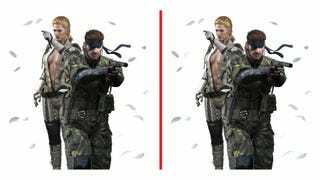 Recently on 2ch, Japan's largest bulletin board, a "spot the difference" thread popped up, complete with Metal Gear images that looked the same—but aren't. For example, in the above image, there are slight discrepancies. Can you spot them? If not, here are the answers. Below, you can find more comparisons. Some of these have three differences, but others have more. Can you spot them? Feel free to put your guesses in the comments below.